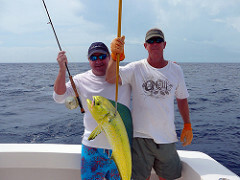 Among all outdoor activities, fishing is the most pleasant and mind refreshing activity. For this activity, you have to visit near water like lake, ocean, and river. By this, you will get to enjoy the beautiful scenery and good experience about catching fish. You can also get to do some exercise by working with the boat and hook and fighting the fish. You may think making fishing gaff hooks is tough and you can’t make it. But it is not true, you can make a fishing gaff easily with simple materials which are available in the home. 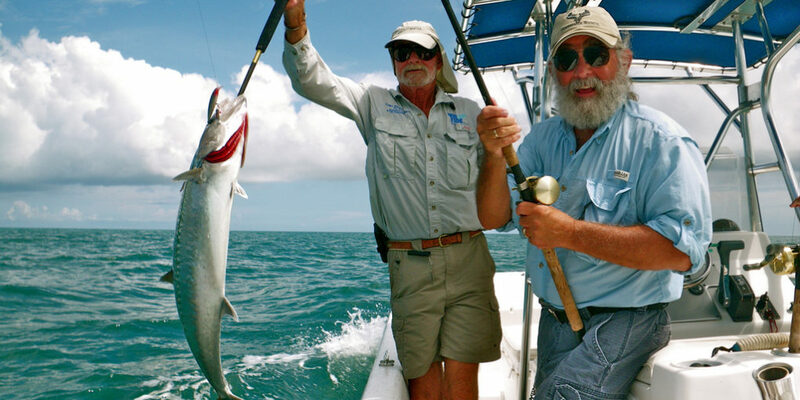 Just you have followed some simple steps to get a good fishing gaff and enjoy fishing. This all materials are easy to find and available in every home. Now you may think why to make it? well, in a market there are hundreds and kinds of a fishing gaff, but all have not every feature a fisherman needs. Some are weak and some have a weak hook. Here I will explain the steps of making fishing gaff in a simple way with simple staff. At first, take the extension pole. Wrinkle the tape and lodge the pole into 3 inches deep. This is the place where you will attach the hook. This step is the most important one. If you do not wrap the tape strongly, the hook will fall when you are in the mood of fishing. By making the hole in the rod, you will help it to be adjustable and place the hook inside the slot. You have to drill the pole into 2 inches by a driller. Make sure the hole measures the same size of the screw that you will use. The screw will help the hook to be tightly attached to the hole. Now it is time to attach the screw. Fit it properly in the hole and adjust with a nut. By this fixing, you will get a strongly attached hook, which is ready to go for a big catch. After fitting and modifying the screw, make the rod stronger with epoxy. The epoxy helps to make the gaff more reliable and strong. You will not face the unwanted movement of the gaff when you are grabbing the big heavy fish. The pole needs a support like wearing a tube. This helps to give the rod a strong grip. Get a tube and insert the pole into it. Make sure the scotch tape part will not be covered with the tube. Cut the excess part of the tube and trim. Thus, you will own a beautiful and strong pole. Measure the pole and mark it. As it needs to be approved by the local fishing law requirements. You can give your fishing rod a new look as you want. You can also add some extra features that are needed while fishing. If you want to use rubber rod then you can use it. Make sure the rubber rod is slip resistant. Once you have done all the attachment and fixing, the pole is ready to go for fishing. The small hand guff is 2.5 cm long and has a wrist strap attached. You will find the strap at the end of the rod. You can target the lower lip of the fish with this gaff. While you have caught the fish, work with ease with the gaff in the jaw. Then raise the gaff to search the spot between the jawbones. You can catch a 9 kg fish with this gaff easily. But a large fish is not easy to catch with it. You will get hurt. This gaff comes with the length from 8 cm to 30-cm. the hook of the gaff is strong and sharp stainless steel made. While targeting a fish with this gaff, you have to align the head and go to below it as possible you can. Tuna, shark or large marlin is perfect for a flying gaff. This gaff has the long rope at one end and a sharp hook on the other end. At first, you have to target the fish, and then stuck it. After getting, the fish caught then pull the rope. This needs a lot of strength and technique. When you are fishing with the gaff, make sure the gaff hook is face down and the fish is near your boat side. Always use the gaff on the head side of the fish. Aim it at the head then pierce it. This will help you to control the fish easily and the fish meat will stay unharmed. When you catch fish with the gaff and then drag the fish. Fishing with a gaff in the deep water is not the good idea. First, take a good aim then target the head clearly. Don’t pull the head out while waiting for the gaff. The gaff has to be high in quality. Now it is time to test your speed and precision technique with the gaff. This experience is exciting and powerful also. Just follow the technique with strength. So let's learn about how to gaff a fish. When the fish is stuck on the hook, let it struggle for a while. Don’t gaff it then because the fish might escape. When the fish is tired after struggling to align the gaff. Make sure you are catching the proper fish. When you are done with piercing then pull and lift the fish on the boat. Don’t let go of the fishing rod form the hand. In fact, you have to use the both hand while fishing with the gaff. At this time fish might move a lot, just stay calm and keep the fish on the hook strongly. Make sure you are not gaffing the wrong fish. If you leave the gaffed fish back on the water, it will not survive. Don’t even think about gaffing shark or barracuda. If you gaff one mistakenly then let the hook go by c﻿﻿u﻿﻿tting the line. You can gaff fish up to 22 kg. but remember gaffing is only for big fish, not small ones. Another thing while gaffing, always target the head part. It is easy to control when you use the hook in the head. But if you gaff in the fish tail then it is dangerous. Because you can’t control the movement of the fish and if the fish has sharp teeth then it is too dangerous to struggle with. let the fish go when you gaffed it on the tail. You will need the assistant when you are gaffing. One will use the pole and another will aim and gaff. It is hard to do it alone. Because it is the matter of strength. If you want to gaff a big large fish then use a flying gaff. 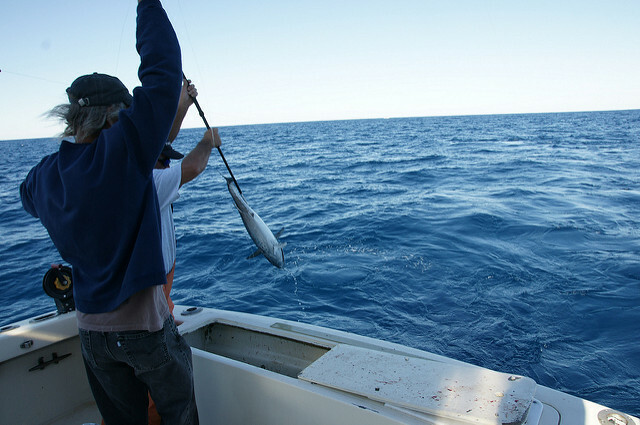 You can target swordfish, makos, and tuna if you have proper flying gaff to fish with. 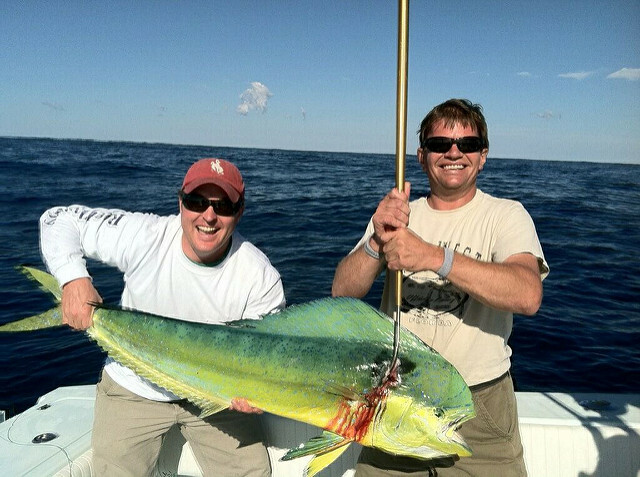 The best part of the flying gaff is the hook gets separated when it is used on the fish. Aim and throw the hook on the fish you want, the pull t near to you. When you are done with fishing make sure to clean the hook properly and store them with care. Cover the hook with the rubber pipe, cork or tennis ball. It is for safety. Every product has advantage and disadvantage. You have to choose the best of it while using. With the gaff hook, you can catch big fish with ease. The hook making process is easy and simple. You can make the gaff hook in low budget. With fishing with gaff hook, your fish catching technique will get improve. You will enjoy the fishing very much while aiming and catching fish with the gaff hook. The hook helps to keep the fish meat intact. You have to use proper gaff hook for proper fish. You cannot use the random hook on random fishes. Sometimes the hook gets misplaced or comes out from the fish. Every hook has its limit to carry fish weight. You may get hurt while fishing with a gaff. Sometimes while gaffing you might fall down from the boat. While it is easy to gaff in the water, but you will have a tough time to gaff in the ice. Have to careful and apply some technique to gaff. ​First, you have to lure the fish near you I mean the ice hole, and then use the gaff in the bottom of the jaw. Then lift the fish from the ice with gaff rod. You have been alert while catching the fish because it is cold and fish are not in eating mood. ​Finally, here I am after giving long details about how to make s fishing gaff. A fishing gaff is required when you are in search of a big fish to catch. Make sure the gaff is strong and sharp. If you can then make it at home, trust me, you will get the strongest and sharpest fish gaff. ​While making it make sure to attach every part of it. Because if it is not attached properly then the part may fall apart while you are struggling with the fish. Try to target the fish in the proper place or else you will lose the fish. If you are ready to gaff, then what are you waiting for. Just grab the pole, gaff hook, and enjoy the most exciting outdoor activity. And yes when you are having a yummy fish steak in home please do invite me.